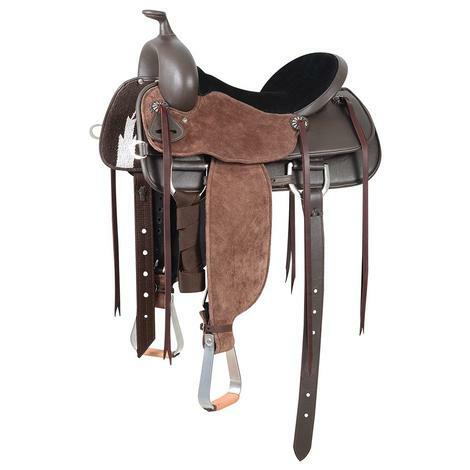 The Guardian barrel racing saddle is made by Martin Saddlery. It is built on a BTR tree, has a seat size of 12 ½ inches, and a gullet that is 6 ¾ inches. The chocolate roughout compliments the fuchsia full quilted seat. 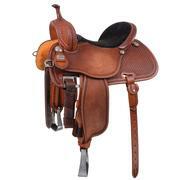 The skirt is a C rig square and the engraved aluminum stirrups are 2 inches. 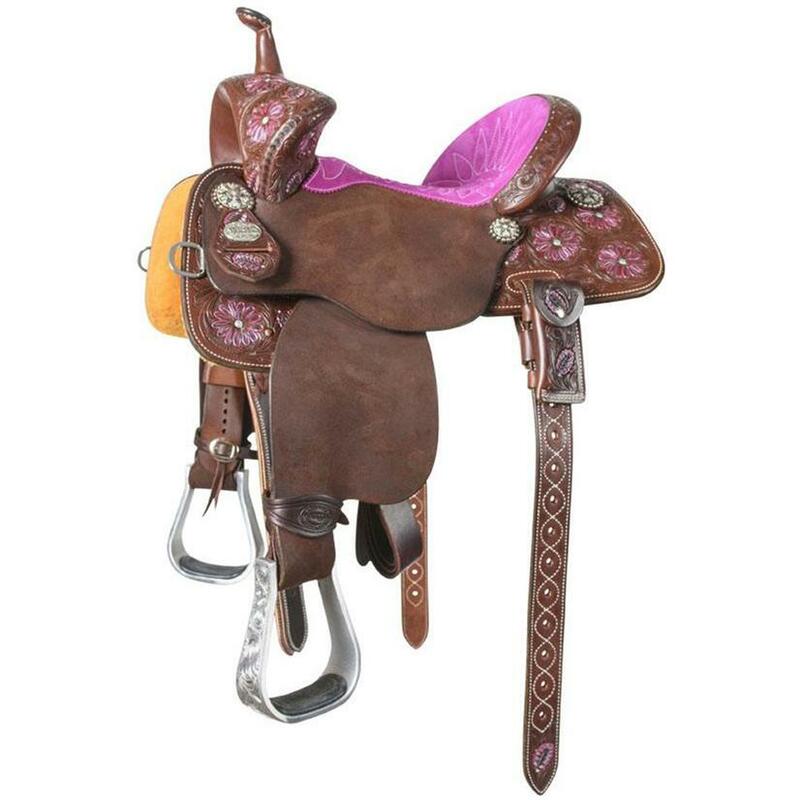 This saddle has half mountain daisy tool and Snowdust Conchos. 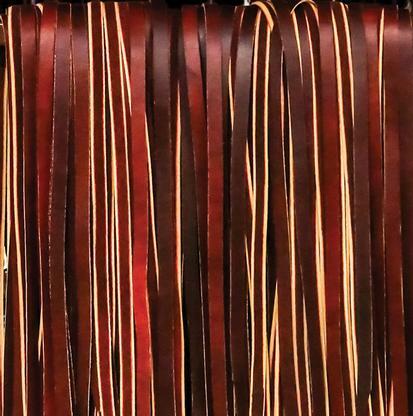 STT Latigo Leather Saddle Strings 7/16" x 60"